Av Pablo Iglesias, 32, 46970 Alaquas, Spanje. Easy accessible hotel in Valencia. This hotel is at eight kilometres from Valencia, and it is well connected to the airport, at four kilometres, and to the Fair and Exhibition Centre, at 10 kilometres. The nearest bus stop is at just 500 metres. 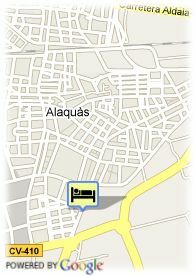 Very comfortable and suitable hotel for travellers who will make a short stop in Valencia. The hotel´s restaurant, Mirasol, serves a wide variety of dishes where gastronomy based in the healthy Mediterranean cuisine prevails. 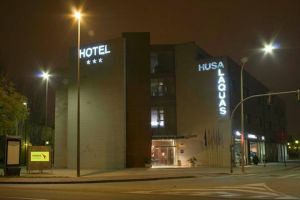 In addition, Hotel Alaquas is surrounded by shops and restaurants. Among other facilities, the hotel offers two meeting rooms suitable for any kind of social or corporate event. Betalende overdekte parking aan het hotel (8.50 €).